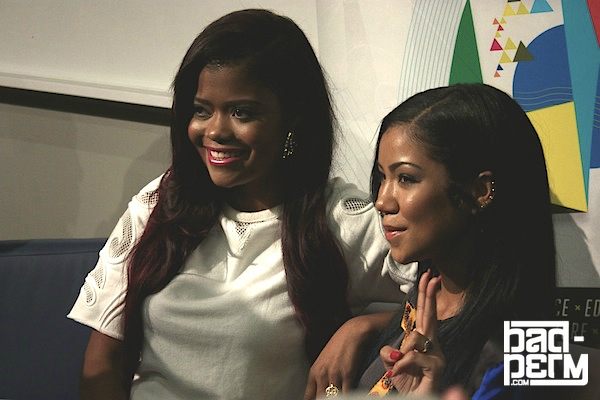 The first thing I noticed about Jhene Aiko is her dainty little hands. She’s just recently been in a major car accident which left her with broken bones, a chipped tooth and stitches. Her wrist is in a cast but she’s a trooper. She’s set to performer for the Manifesto Festival of Community & Culture ‘s Live At The Square as one of its headliners, but right now she’s closing up the So Much Things To Say Evolution Summit with The Last Word. Karen Civil interviews the songstress and she discusses everything from how she got her start to working with Drake and why we all need to stay in bed and light a J from time to time. Jhene says that she was signed to Def Jam because she’s influenced by 90s hip hop and it shows in her music. The Los Angeles native was initially marketed as the cousin of B2K‘s Lil’ Fizz but soon found out that the music industry execs wanted her to do things that she wasn’t comfortable with. Thus came the lyrics about “sailing your soul” like a free spirit versus “selling your soul” to the label. Jhene discussed how things might go over a little smoother if you do what the label wants but a painter doesn’t let someone come and paint over their painting. “I learned to stand up for myself,” she says. “If you measure your success by when you become rich and famous then it’s not your passion, you should be happy with just doing it,” is Jhene’s motto when it comes to her art. This relaxed and organic attitude is synonymous with Jhene so it only makes sense that she took her creative process into her own hands. “When I first got my laptop, GarageBand was my best friend. You can make it now as an indie artist via digital technology,” Jhene says, which is how she managed to catapult her singing career past her teen years and get the attention of Drake. “I’ve always been a Drake fan but I was never a stan,” Jhene says and admits that after meeting him she really wanted to get deeper into his music. “Why you so afraid of love, girl?” is what Drake would ask her, she laughingly told us. The collaboration on From Time actually started with back and forth DMs on Twitter, which just goes to show you that as fucked up as social media can be, it can also be used for a greater purpose. 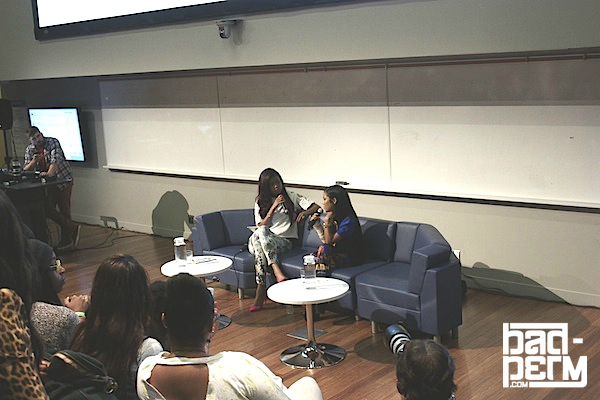 Jhene did however need some direction when it came to the business aspect of her career, which is where her manager comes into play. “I’m a creative person, all I’m worried about is the creativity. I would’ve done shows for $100,” she says. Her manager this time around takes her desires into consideration. “I have my manager tell the label ‘no’ all the time,” Jhene says as she puts an emphasis on balancing her career, motherhood and sleeping. When Karen asks her about what wisdom Jhene plans on passing down to her daughter she says “All men are dogs,” before dismissing it as a joke in a fit of giggles. “Experience is the only thing that’s really going to teach her; I try to lead by example,” she pensively says. 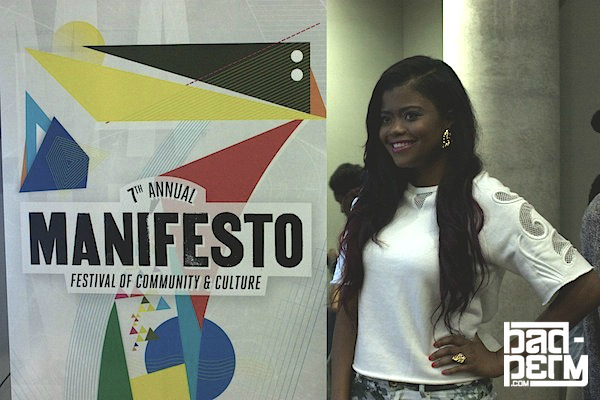 When asked about what her manifesto is, Jhene advises that “You have to help yourself before you can help anyone else. I love me enough for the both of us,” the latter being the famous line from the track From Time. 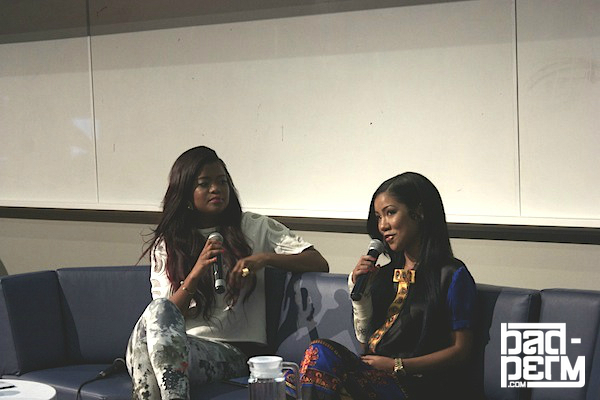 Jhene finished off the panel by reflecting on her brother Miyagi’s life. Her voice is unwavering as she fondly speaks about him. All the tears in the world have been shed and she’s at a point where she wants to celebrate him and the bond that they had. Jhene tells us about how her brother was always on the pulse of what was hot in music and he was the one that actually introduced her to Drake. She tells us that her brother’s computer remains at her home, all his carefully curated playlists untouched. Miyagi’s presence will always surround her and the brother and sister will forever share a special connection that is deeply seeded in music.